Thanks to the subscription option OCAD 2018 for Teams you can transfer your license to others immediately and in an easy way. Everybody involved in your team works with the same and most current version. By introducing the Subscription Model, you can purchase OCAD 2018 for one or three years. During this time, OCAD will constantly be updated with new functions and adapted to the latest standards and developments. As an OCAD 11 or OCAD 12 users, you can profit from an attractive Introductory Offer. Updates of OCAD 11 or OCAD 12 licenses to OCAD 2018 will benefit from 20% or 40% discount until 31.10.2018. Last but not least: Our homepage www.ocad.com has been renewed from scratch. There you can also download a 21-Day-Trial or the OCAD Viewer for free. Take a look! All you need to know about OCAD 2018, details on terms and the pricing can be found on our Homepage or in our Frequently Asked Questions (FAQ). 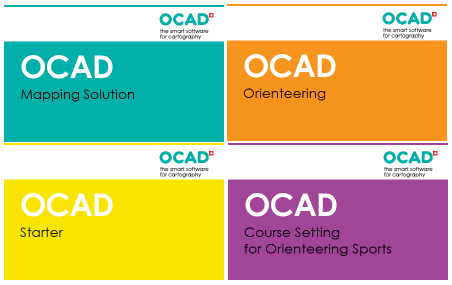 This entry was posted in OCAD 11, OCAD 12, OCAD 2018 and tagged Course Setting, OCAD 12, Orienteering Map Making, Professional Map Making on March 21, 2018 by OCAD Team. OCAD 2018 will be released soon. The Beta version is available for testing to all OCAD 12 users free of charge. Please visit our new OCAD 2018 Wiki how to download and install it. 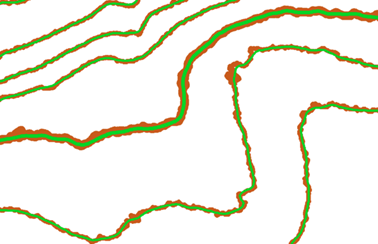 Stronger smoothing of contour lines in flat areas using the topographic position index (TPI). Checking the legibility of orienteering maps according ISOM 2017 (minimum distance between objects, minimum line length, minimum area size). As the innovations and technological developments are having faster release processes it is no longer appropriate to release a new version of OCAD with many new features every three years. With regular updates, OCAD 2018 shall be updated with new functions, technological developments and new standards as soon as possible. By introducing the subscription model, you can purchase OCAD for one or three years. All you need to know about OCAD 2018, details on terms and the pricing can be found in our Frequently Asked Questions (FAQ). For anyone who buys an OCAD 12 license during the Beta period you may choose an update to OCAD 2018 free of charge. The subscription will have a term of 3 years. After its expiration you decide to continue with an OCAD subscription or remain with OCAD 12. This entry was posted in OCAD 11, OCAD 12 and tagged OCAD 12, Orienteering Map Making, Professional Map Making on February 22, 2018 by OCAD Team. The international Orienteering Federation (IOF) published a final draft of the new International Specification for Sprint Orienteering Maps (ISSOM) in February 2018. OCAD has created a new ISSOM 20XX Final Draft symbol set and released a Service Update for OCAD 12. 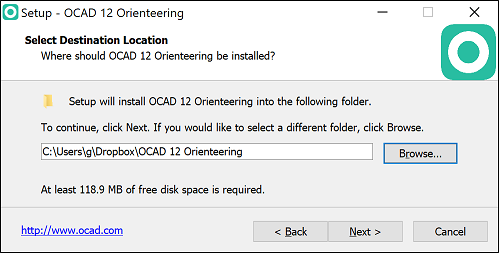 OCAD 12 users can download this Service Update via Help menu -> OCAD Service Update. Please close OCAD before installing the Service Update. 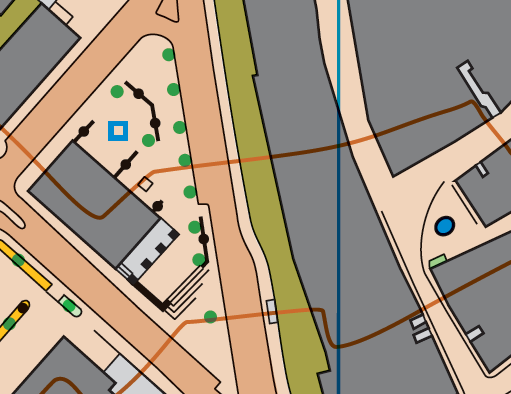 The function Symbol Set Conversion updates the map content of old sprint orienteering maps according ISSOM 2007 to ISSOM 20XX Final Draft automatically. This function keeps its old layout (title, logos and other map elements). Choose Symbol Set Conversion command from the Map menu. Choose the Symbol Set Orienteering Map ISSOM 20XX Final Draft 4000 and the CRT file ISSOM 2007 to ISSOM 20XX Final Draft if not already chosen by default. The old ISSOM 2007 symbols are already assigned to a new ISSOM 20XX Final Draft symbol according to the CRT file. Or you can assign each symbol to another one. Choose the symbols from the old layout which you want to keep in the new ISSOM 20XX Final Draft symbol set. Click OK to replace the symbol set. The new ISSOM 20XX Final Draft symbol set is loaded and the chosen layout symbols from the old map are at the top of the symbol box. For more information please read our Wiki. 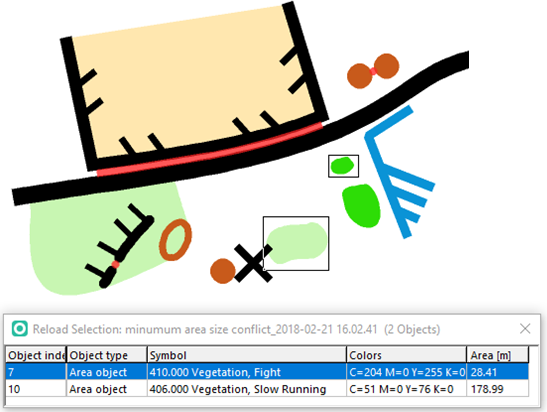 This entry was posted in OCAD 11, OCAD 12, Uncategorized and tagged Course Setting, OCAD 12, OCAD 12 Orienteering on February 15, 2018 by OCAD Team. OCAD 12 runs as app on clouds like DropBox or OneDrive. For example you can install your OCAD license once in the cloud of your desktop computer and synchronize the app on your laptop. During the OCAD installation change the default installation folder to a folder from your cloud storage. Start OCAD on your desktop and activate it. The activation information is saved local on your desktop computer. After the files in your cloud folder are synchronized on your laptop start OCAD from your laptop’s File Explorer. Note that you have to activate the software also on the laptop. One advantage is that you need to install the Service Updates only on one computer. The synchronizing updates the new files also on the other computer. Or do you have your orienteering maps of the club in the cloud? Why not installing there the free OCAD 12 Viewer too. Thereby all members of the shared folder can open and print OCAD maps without an additional installation and registration. This entry was posted in OCAD 12 and tagged OCAD 12, Orienteering Map Making, Professional Map Making on October 26, 2017 by OCAD Team. The current OCAD 12 Service Update fixes a problem with the drawing and editing cursor introduced with the new Windows 10 Creators Update. After installing the Windows 10 Creators Update, the OCAD cursor was very small on computers with high-DPI monitors (often laptops). Check the option Scale cursor size in the OCAD Preferences to enlarge the cursor to the default size. This entry was posted in Uncategorized and tagged OCAD 12, Orienteering Map Making, Professional Map Making on September 11, 2017 by OCAD Team.